Group drumming is both an ancient practice and an enduring one. When you think of community drum circles, you may think of patchouli and dreadlocks. However, community drumming is commonly enjoyed by people from all walks of life. It’s becoming more prominent in urban centers and even in corporate workplaces. 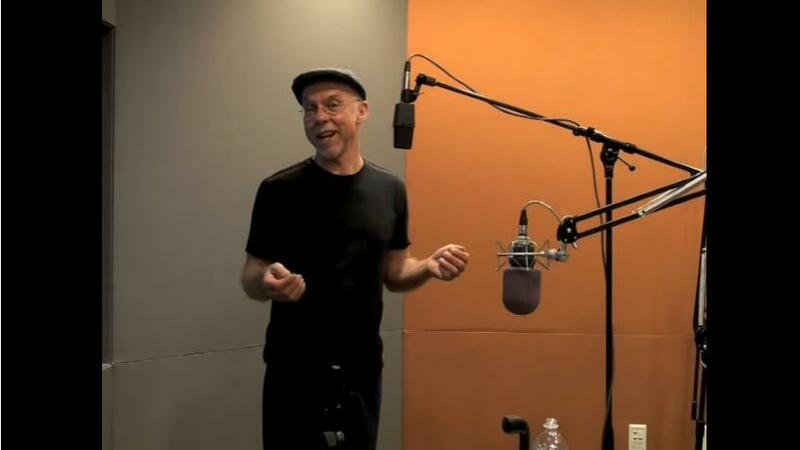 One of the reasons for the emergence of this practice is that there are clear psychological and physiological benefits for people who drum both individually and in group settings. Drumming strengthens the immune system, heals stress, increases cognitive function and intuition and treats illnesses like Alzheimers and ADD. One of the greatest benefits of community drumming is the ability to break down barriers between people and to dissolve social hierarchies. University of Oxford psychologist Robin Dunbar discovered a strong association between group drumming and endorphins. Endorphins are the body’s natural opiates. Not only do they increase pain tolerance, but they also cause people to act more cooperatively together after drumming as a group. In corporate settings, group drumming has been found to reduce burnout and increase the feeling of connectedness between employees. A study of an interdisciplinary group of long term care workers used drumming as a tool for bringing together people from diverse professions within the field. The researchers indeed detected a reduced burnout rate and higher overall mood levels. They projected that the program would save long term care homes a lot of money by decreasing sick time and increasing employee productivity. As a team work exercise, you can’t beat the universal language of making music together. Nothing builds community like team work. Some conference organizers have discovered the positive effects of group drumming at conferences of all kinds. It re-energizes and refocuses the participants while also helping them to get to know each other on a deep level. Drumming really gets people smiling together in between long speeches and workshops. It might even become the most talked about workshop of the weekend. When drumming in groups, you learn the art of listening and become keenly aware of your fellow drummers. The subtle awareness can become so great that some people report an empathic response. 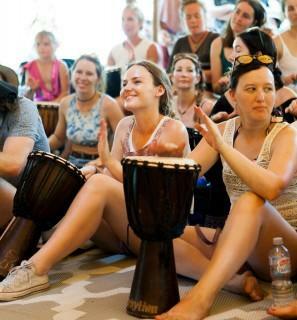 Drum circle participants in Prescott, Arizona, USA reported “knowing” what others would do in advance and even whether others were paying attention to them. And these people’s eyes were closed. Whether or not you pick up another person’s emotional state, you’ll likely find a very profound connectedness with your fellow drummers that you likely won’t experience while waiting in line at the post office. That is, unless you bring along a few people with drums. You may make people’s days, get kicked out or both. It just might be worth a try. Whether you run a workplace, a community event, a church or a classroom full of students, you may want to give group drumming a try. If you’re an individual, find some nearby group drumming events. No article in the world can do it justice. You just have to experience it for yourself.